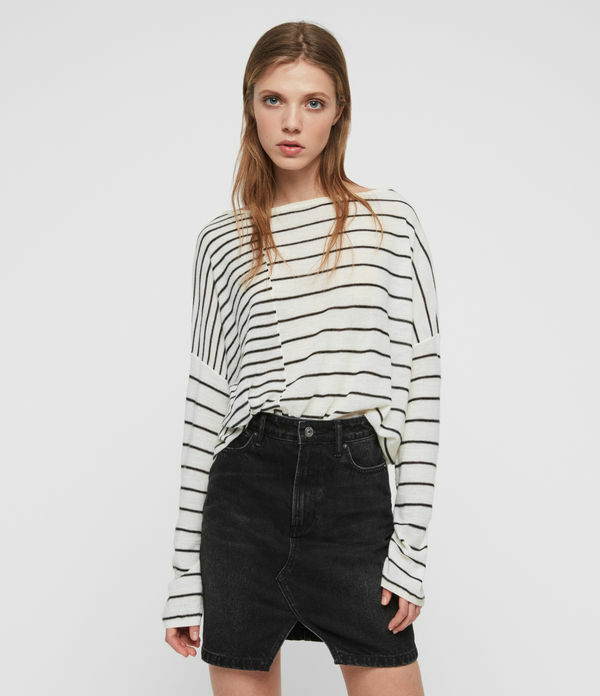 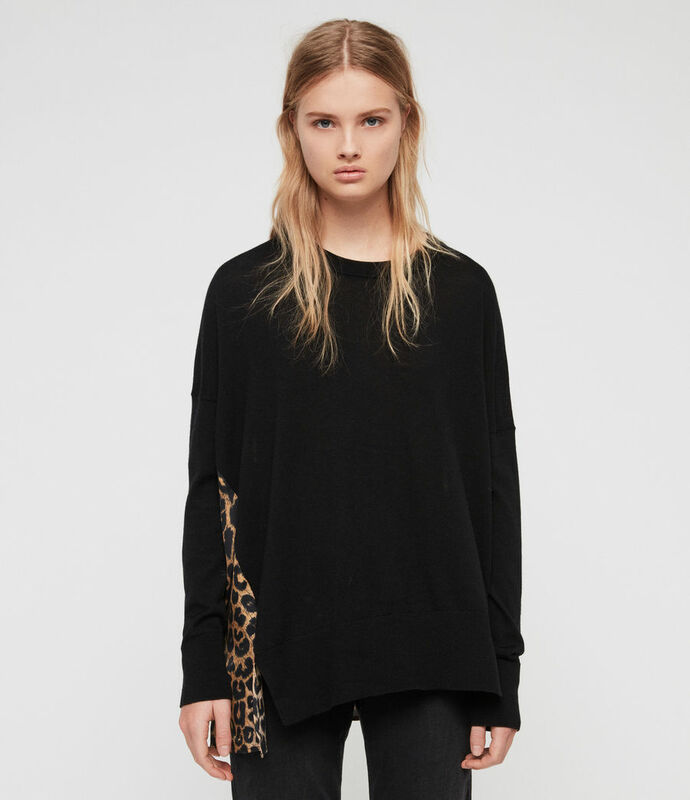 Discover your wild side in the Bennie Leppo Sweater. 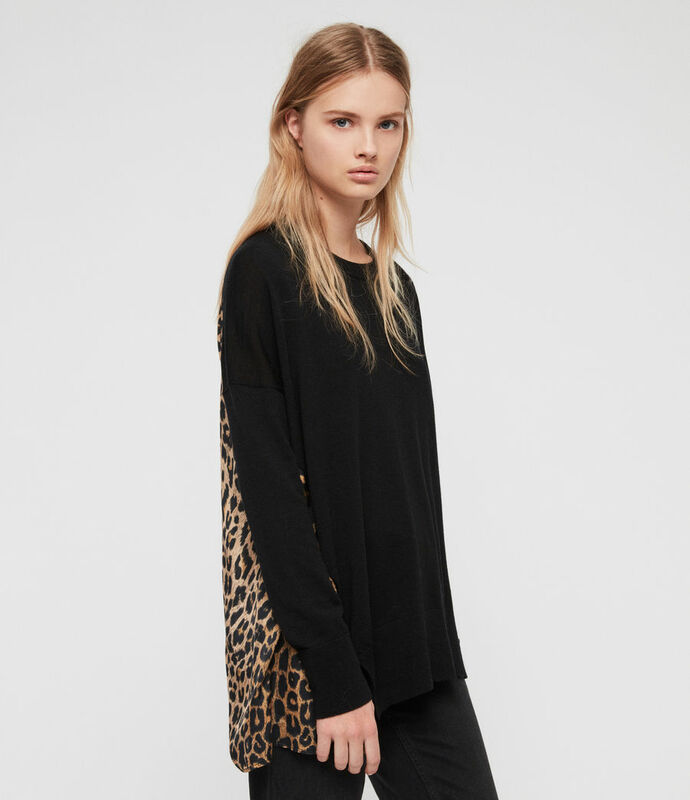 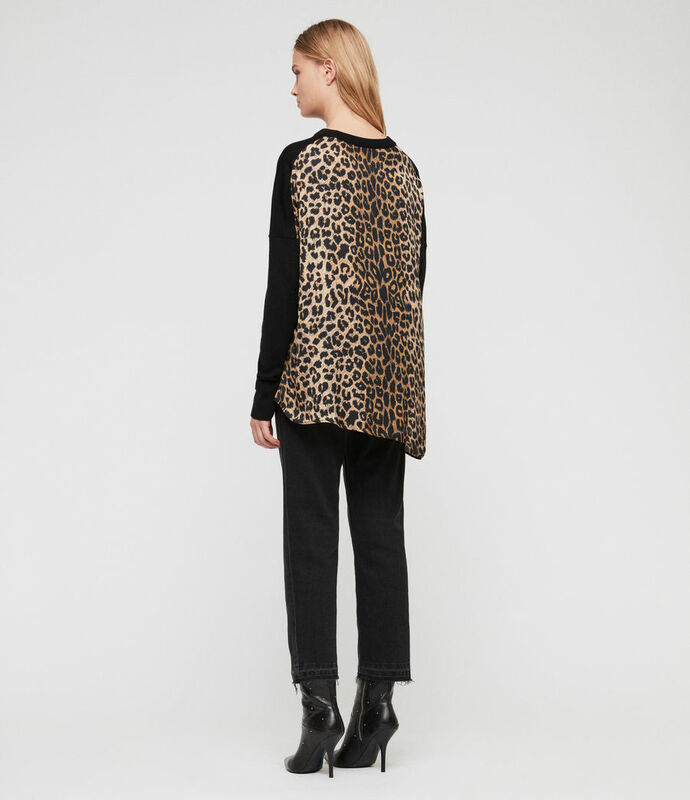 Crafted from soft merino wool with a woven, leopard print back panel and our favourite asymmetric hem. 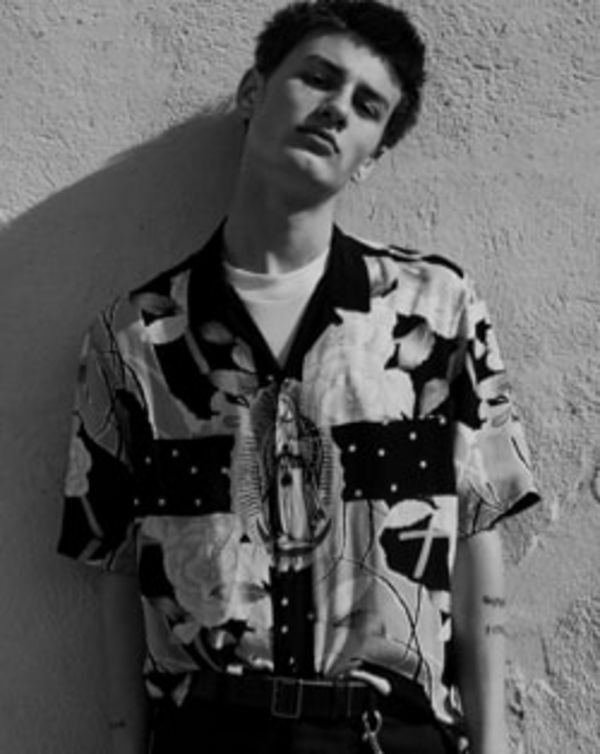 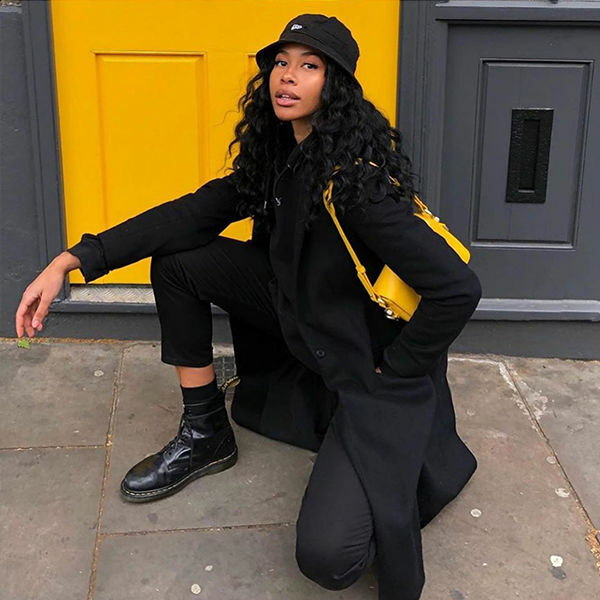 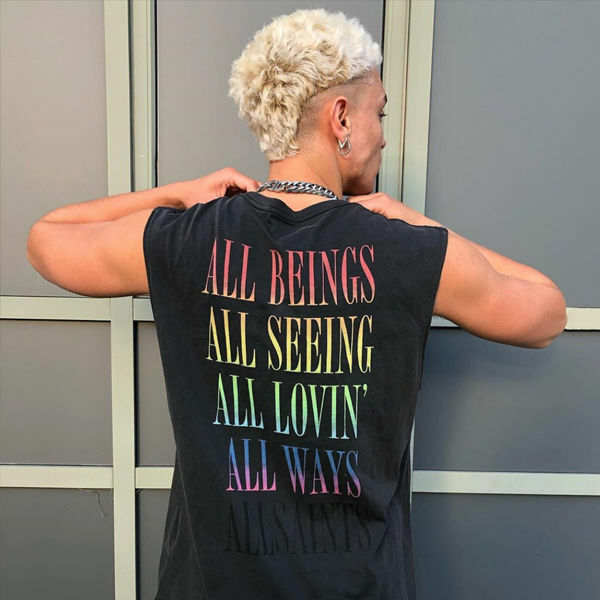 Model is 5'9.5" / 176cm and is wearing size Medium.